The company announced on Wednesday the great Think & Learn Smart Cycle, an exercise bike with a tablet holder tacked onto the handlebar. The bike, aimed age at 3 to 6 year olds, lets kids interact with gaming apps while pedaling. 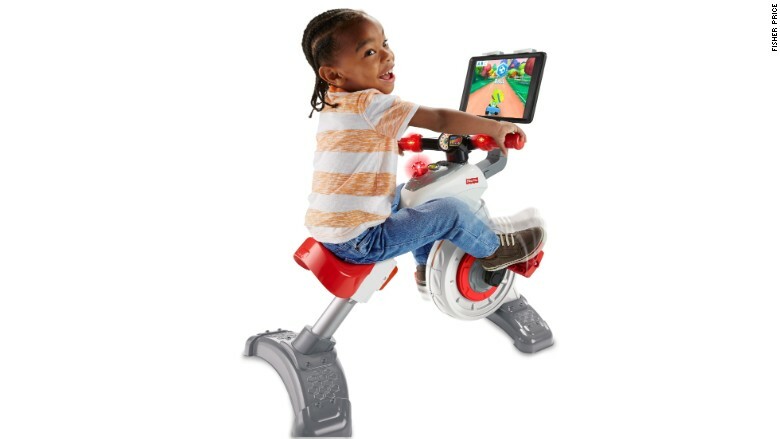 The Smart Cycle cost ($150) comes with one free app and works with four others, including SpongeBob Square Pants and Shimmer and Shine apps ($4.99 each). "They're learning and mastering content as they peddle, fast or slow, forwards or backwards," Amber Pietrobono, a spokeswoman with Fisher-Price, told CNNMoney. "It's also how they level up in the games." The toy comes with gaming cartridges that connected it to a TV. 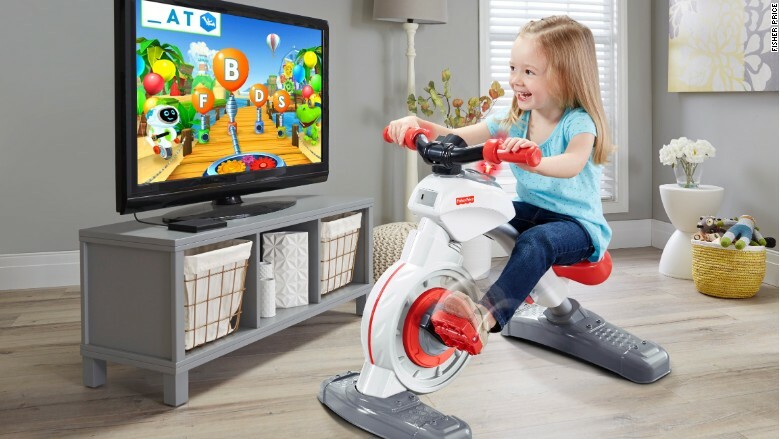 Kids pedaled through different environments, used a joy stick to learn letters, numbers and colors and were able to race against virtual vehicles. Fisher-Price said some kids used the original Smart Cycle for up to an hour at a time. Toy industry analyst Jim Silver said its trend to encourage kids to be more physical. "Fitness and childhood obesity were also hot topics at the time," Silver said. "This kids to exercise as they learned." However, it appears the Smart Cycle might have some competition on the horizon which they have to play smart. 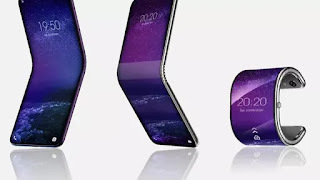 Silver hinted that competitors are already working on a similar product to launch later this year.